Latinx political organizing in the Civil Rights Era grew out of previous movements but became more confrontational and saw more progress. Much of the organizing in this period was done by Mexican American and Puerto Rican young adults, though other communities were also active. Political organizing wasn’t just in activist groups, the Civil Rights Era was also when the first Latinx political party started in the United States. Focusing on Mexican American issues and voters, La Raza Unida (translation: The United Race) grew out of those smaller local efforts and succeeded in winning elected offices for a number of Latinx candidates across the American Southwest. One reason for the young membership was the ongoing protest movement against the Vietnam War, which inspired many young Latinxs and even spurred the creation of the Mexican American Youth Organization (MAYO). MAYO and Chicano Student Movement of Aztlan (MEChA - which is still active on many college campuses today) organized students and young adults around issues of discrimination in education as well as the anti-war movement. The way young Puerto Rican people were organizing was different because of its status as a colony and the unusual path to citizenship. As the Puerto Rican population increased after World War II, young people in the Northeast and the Midwest created organizations to fight discrimination and to create deeper connections between the mainland United States and Puerto Rico. Young Lords was one of these groups, and among other things it fought for education reforms, similar to MAYO and MEChA. 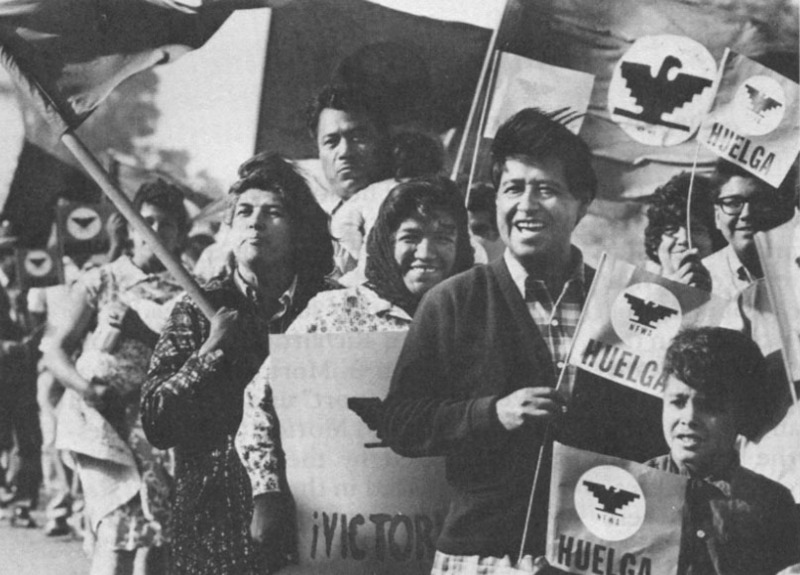 Education demands were popular among Latinx political organizations at the time because education was seen as the best way to improve the status of Latinxs in the U.S. in both their personal and political lives. Our separate struggles are really one. A struggle for freedom, for dignity, and for humanity." In 1962 Cesar Chavez founded the National Farm Workers Association (NFWA) with the goal to “overthrow a farm labor system in this nation which treats farm workers as if they are not important human beings.” At the time, Mexican agricultural workers were often unpaid and denied the right to unionize. By 1967, NFWA was in the midst of a large-scale boycott of California grapes. They organized with Mexican and Filipino workers calling on individuals and grocery chains to stop buying grapes. The movement saw a mixture of successes and setbacks, but regardless of these outcomes, it was a powerful movement by and for the people. It was also significant because it crossed racial lines, including Latinx, Filipino, black, and white activists, as well as politicians.